The Sony magnetic charging dock for the Xperia Z1 should be the answer to quickly easily charging your Z1, or Z1 Compact, via the phones magnetic points. The advantage of this is that you you don’t need to keep opening and closing the protective covers to plug in a standard USB charging cable. Included with the magnetic charging dock were 2 different sized inserts, one for the Sony Xperia Z1 without a cover and one for the Z1 with the cover. First the good stuff. The idea of a magnetic charging cable is really good as it saves wear on the USB port cover and the Z1 looks great sat in the dock. You can set the phone to trigger an event when docked, for example it could automatically switch to night mode and pop the phone into silenced mode, switch back when removed from the dock the next day. It’s possible to use the dock with the Sony Xperia Z1 Compact, although I found it worked best without any inserts. Plugging the dock into something like a PC or a bedside unit with USB charging point doesn’t actually cause the phone to charge, the dock has to be plugged into a wall socket. No wall socket plug is provided with the dock, if I didn’t have a spare I couldn’t have used the dock. The cable isn’t very long, it’s the correct length for plugging into something on a desk, it’s not long enough to sit on a desk and plug into a wall socket. It’s really disappointing, the idea of this is brilliant and should mean you don’t have to open and close the USB cover just to charge. With such a cheap feel it was no surprise that it was very easy to open the dock up and remove the cable completely, which I’ve found to be far more useful than when it’s in the dock as the contact points can be frustratingly tricky to line up when in the dock. It’s a real shame the execution isn’t very good, as a dock it’s only of use if you can place it near a wall socket and happen to have a spare USB plug to hand. 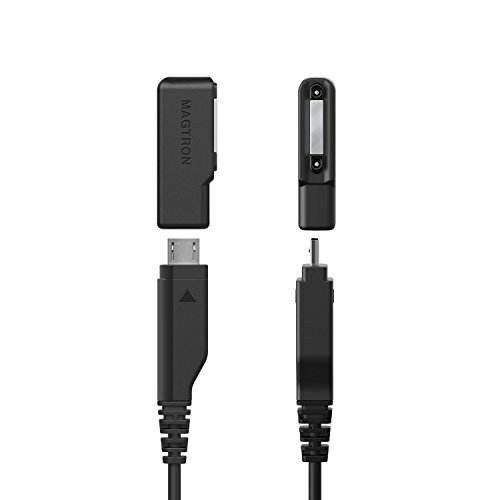 If you are OK with that this, or just want to extract the cable, this is great, but for anyone hoping for a desk dock you can plug into your PC/laptop you’ll be disappointed. 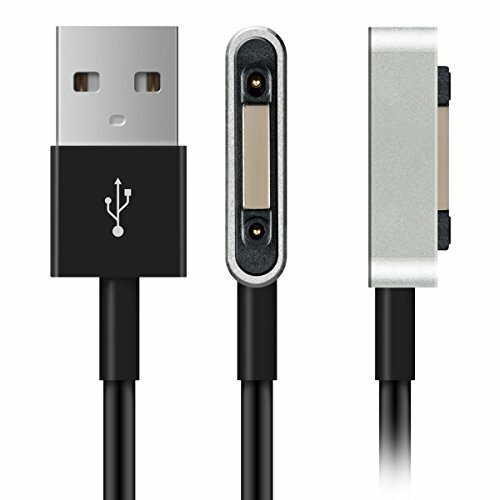 kwmobile USB charging cable for the magnetic port of the Sony Xperia Tablet Z2 /Xperia Z1 /Z1 Compact /Z2/Z3 in silver black - premium quality! 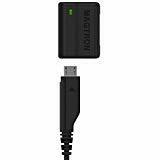 The cable can be used to charge your device, but does not support data transfer. Charge your Sony Xperia Tablet Z2 /Xperia Z1 /Z1 Compact /Z2/Z3 over the magnetic port without having to remove the MicroUSB cover. New for 2014 Nov. : Now compatible with any type of phone case! Adapter Pouch Case included for easy carry.